Firefox is one of the well-known and popular web-browsers. It is created and developed by the Mozilla company that is a non-profit organization. They constantly upgrade Firefox and add new features to it to make it more easy to use and powerful. Anyway, issues with slowing down, freezing or other performance problems happen and they are reported by the Firefox users. I guess you have sent a few crash reports to FireFox too. Everyone who uses this browser on a Mac or even MacBook Pro has some issues such as a slow cursor, page delays, crashes, and so on… Sometimes it takes many time and efforts to find out what is the reason for that mystic freezes or waiting for your browser to awake from the sleep. Slow connection and slow browsing is really a tragedy for nowadays people, and I understand that clearly. I use Firefox regularly and a couple of times I had even to force quit this browser! So, let's get closer to our topic. Why does Firefox runs slower or freezes sometimes? You use Flash player plugin, Adobe Reader or Java scripts. They often make Firefox hang. You open too many windows or tabs. Many different processes run on your Mac, including third-party ones. They can leave the browser without a little space for processing your request. Your version of Firefox is outdated. Your browser has too many caches, downloads, browsing histories, and so on. Your Mac or MacBook is already old and slow in general. That makes you feel that Firefox and other apps work slowly as snails move. Force quit is the last resort for any frozen app. Still, this method works well, and why not to use it? Restarting the application and getting back to work again may take less time than waiting until it comes out of the sleep. If it doesn't work, and you find out that the whole Mac is frozen, try to make a hard reboot. Press the Power button, hold it for a couple of seconds. After doing it, press this button again to restart your Mac. 2. Check the version of your Firefox browser while it is running. ​Outdated versions of any application can cause their poor performance. So, it is always a good idea to check if your software (as well as the system itself) is up-to-date. Click the icon with Firefox on it and find the line called 'About Firefox'. Tap on it and see a pop-up window that shows the version of your browser. If it is a previous one, update your browser to the latest version. 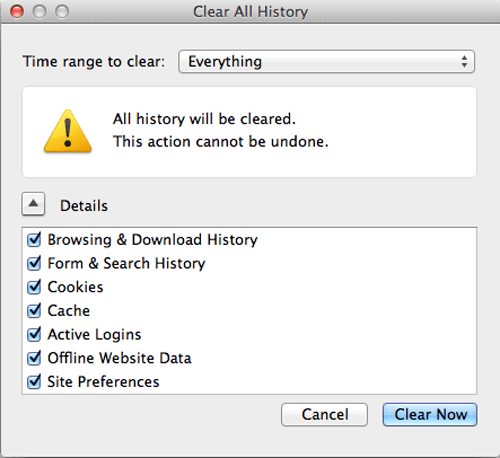 Cleaning the browsing history. It slows the performance down, as your browser loads the history again and again, it keeps it for all the time. So, clean it! You can keep your login details in order not to take time for restoring all the passwords. You may even not remember some of them, so please check this point and remove a tick, if you need to save them. Deleting extensions that you don't use. They take place and memory of your browser. Moreover, if you don’t use them regularly, it’s unlikely you will ever do it. Why not to free some space? Go on! Disabling plugins you don't need any more. Here the situation is the same as with unnecessary extensions. They always take place, and you can free it for something more useful. Why not? 4. Clean the Mac hard drive. I have already written about how to do that in one of my previous articles. Alternatively, you can use an easier option and get some easy to use and intuitive app such as CleanMyMac X (it can clear your hard drive just in a couple of clicks). 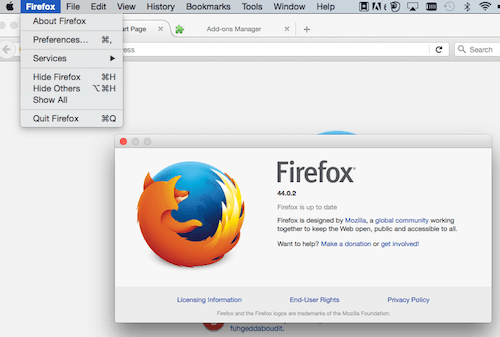 This helps to make the performance of your Mac better, and the work of Firefox smoother. I bet you will feel the difference, cause I always do. Use only one window at a time, always close unnecessary tabs in it, especially if you finish reading articles in some big magazine as Huffington Post, Forbes, etc. They are weighty and usually load a great variety of flash advertisements to your browser. It happens automatically, so the best option is closing these tabs after you've finished what you wanted. Don't load the web browser by multitasking. Avoid using many applications at once. Every app takes some system resources (RAM, CPU) for the proper work. The more apps are opened, the fewer resources are left to Firefox. These things can really become your habits, just make some efforts at the start and you will notice that you close tabs automatically after some time passes. Just imagine how many resources your browser will save for efficient work, but not for storing all those flash-objects on the opened tabs! 6. Switch to another browser (Safari or Chrome), if your Firefox runs too slow and continues freezing. For some reasons, Firefox works not very good under certain OS X (macOS) versions, for instance, under El Capitan. It is the fact proven by many Mac users and Apple themselves. I don't know why does this happen sometimes, but it is so. Only switching to another web browser may help. Anyway, I don’t see any reason for panic, even if Firefox is your favorite browser and you love it more than others. Soon, you will update your macOS and install Firefox again! I hope that my step-by-step instruction was useful and all the issues with your Firefox were fixed! Please share it with others, maybe they don't know how to speed up their Firefox yet!